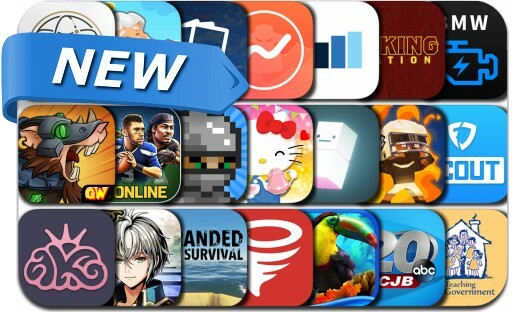 This new apps alert includes Push & Pop, Doomwheel, Word Mind, Football Heroes Pro Online, The Human Age, Doomwheel, Hello Kitty Dream Cafe, StatMuse, FanDuel Scout, The Guides Axiom, Blocky Beastmode Football, Jutsu and many others. Push & Pop is an challenging arcade puzzle game. Slide to move, Push the cube, and Pop to score! Playing with cubes moving under cold lights, along with powerful synthwave music. Let's get bath in this mysterious puzzle maze!